Chrístõ’s plan to buy a bachelor flat in New Canberra city centre was amended just a bit once he got back to Beta Delta IV and looked around for a suitable place. He ended up buying a four bedroom house in the suburbs. It was the house that had belonged to the Corr family, and when he saw that it was still on the market after so long, and the family were getting short of money, he made them a generous offer. Sooner than he expected, therefore, he went from being a lodger with the Sommers family to being a householder and ratepayer, a full citizen of New Canberra, and happy to be so. It took most of the time before the new term started to get the furniture sorted out, and much of the first week that he was teaching again he had craftsmen finishing off the renovations he had wanted. 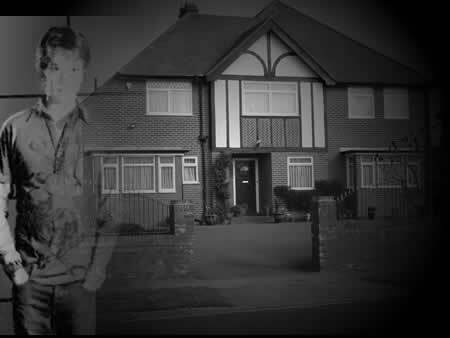 Now, on Friday night, at the end of his working week he was able to enjoy the first home he could really call his own. Julia was a little hesitant as they reached the bottom of the steps. The last time they came in here it was the place where a terrible, dreadful secret had been hidden. But when Chrístõ opened the door she was surprised. Where Professor Corr had kept his gruesome cryogenic freezer, two small changing rooms with shower cubicles had been installed. Before very long, Chrístõ was in a martial arts gi and Julia was wearing a practice leotard and tights with a short skirt that wouldn’t impede her movements. They both warmed up and Chrístõ steeled himself to concentrate on the discipline of Shaolin Gung Fu and not notice the beautiful pirouettes and arabesques that Julia was performing in her own part of the room. “With ballet?” he answered doubtfully. “Oh.” He looked even more doubtful. Actually, although he didn’t have to dance, he had to do more than just stand. But the technique was not difficult to master and when he held her high above his head as she performed a mid air arabesque it felt wonderful to share her joy in the classical dance movements. “I could teach you to accompany me in a Pas de Deux,” Julia said later when they had showered and dressed and come back to the drawing room. Chrístõ had turned the lights down low, not so much to create any kind of romantic ambience, but so that Humphrey could join them, hovering by their feet like a pet dog as they sat on the sofa together. “Is there one where I could use my martial arts moves rather than actually dancing?” he asked. She talked about that idea as he went and prepared a light meal for them, and while they ate, and sat down again afterwards with a recording of ballet music playing quietly. Chrístõ let her talk. It was nice. Here he was in his own drawing room, with the girl he loved. He felt happy. He felt content. No, this wouldn’t ever be their family home. But for the foreseeable future it was his home, and hers when she was there. He had his teaching work and he had the freedom of the universe when that wasn’t enough. Content. A feeling he didn’t experience very often. But right now, he was. Even when Julia was ready to go home he wasn’t unhappy. He kissed her before she got into the taxi cab he had ordered and waved her off, then he turned and went back into his own house. That feeling of ownership of something other than his TARDIS, still felt new and amazing to him. Of course, one day he would inherit Mount Lœng House. He and Julia would be Lord and Lady de Lœngbærrow with a vast estate that would belong to them. But actually owning the title deeds to this house, the keys to the front door, was something he treasured. “This is my home,” he whispered to himself happily as he headed up the stairs to the room next to the master bedroom where he slept. This was another room that had seen some very specialist work done. He smiled as he stepped inside and looked at the beautiful hardwood floor with the Seal of Rassilon inlaid into it. He looked at the cool, cream coloured walls and ceiling. The window had been screened off, because this was a room where he wanted to be separate from the outside world in every way. A silk hanging with his own TS symbol on it covered the screen. On the other three walls were the seal of Rassilon, and the same was echoed on the ceiling, directly above the same symbol on the floor. He changed his clothes again, this time to a simple black cotton robe and he knelt in the centre of the seal. He had not practiced the meditative disciplines for some time. The war, the quest for his father’s lives, had all forced him to live a different kind of life than he would have chosen to live. But now, at last, he had time to give to the simple contemplative disciplines he had learnt on Mount Lœng with the Brotherhood there. It was two hours later, when he found himself rising quickly from the peaceful trance. The telephone was ringing. He knew it was nearly midnight. The telephone at such a time must be important. He rose on slightly stiff legs and went to the bedroom. He sat on his bed as he answered the call. When he heard Herrick Sommers’ voice his latent precognitive nerves throbbed in his head. He almost knew what he was going to say. He ended the call and dialled the emergency number instead. While he waited for the police to arrive he tried Julia’s mobile phone. Of course it was unobtainable. He tried to steady his own thoughts. There could be a simple explanation. He tried to tell himself nobody had any reason to kidnap an ordinary fifteen year old girl. But that was not true. There were all the ordinary, terrible reasons why some people might do such a thing, plus any number of other reasons, mostly to do with him. He was still officially a Gallifreyan diplomat. He had put his name to Treaties and Resolutions all over the galaxy. He was still officially the Crown Prince of Adano-Ambrado, although that wasn’t something that he thought about very often. He had enemies of the most desperate kind. Savang Haddandrox was still in prison on Adano-Ambrado. Epsilon was incarcerated on Shada, but there were others who might have reason to want to get to him through Julia. The police arrived. Humphrey hid under the sideboard as he let them in. Herrick arrived a few moments after them, having left his wife in the company of their next door neighbour. Chrístõ told them all he knew. He told them exactly what time he had put Julia into the taxi. Naturally they asked which taxi, from which firm. They were rather surprised when he closed his eyes for a few moments and reported to them the registration plate of the car, the private taxi cab licence number and the personal registration of the driver. A few minutes inquiry on their radios established that the car and driver were also missing. The driver had been on her last fare of the night but had been expected to call in before going home. It wasn’t Julia. It was another woman. She sounded scared. “Are you Chrístõ de Leon?” she asked with a sob in her voice. Chrístõ glanced around. Everyone had heard, of course. The police equipment was automatically recording and analysing the call even as the woman spoke. He steadied his voice as he got ready to reply to her. Chrístõ heard the police confirm that the call was from a public call box and gave a grid reference that placed it twenty miles outside the city boundary on the New Perth road. The police officers all looked blank. Beta Delta IV was a low crime planet. 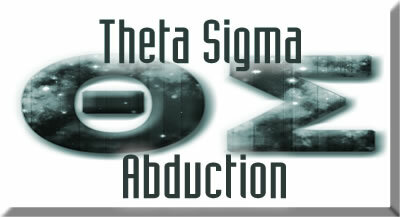 He had more experience of abduction than they did. He really didn’t know why he asked them. He was starting to wonder why he even called them. He said the last to a uniformed policeman who looked to his superior officer for permission to follow him. The Detective Inspector gave it. He didn’t seem to have a lot of choice. He had never attended a kidnapping before, but he was sure this wasn’t quite how it was supposed to go. He was sure he was supposed to be in charge in some way. It surprised him to find that he wasn’t. “Leave it to him,” Herrick said quietly as he sat by the telephone and hoped that the next caller would be somebody with better news. Chrístõ didn’t waste time explaining to the policeman why it was that his vehicle appeared to be a cupboard in the dining room of the house, or how strange it was inside. He put the grid reference into the navigation console and watched the viewscreen until the section of dark rural road outside of the city limits of New Canberra came into view. He set the TARDIS down beside the telephone box and opened the door. She ran towards him, clutching his hand as she stepped over the threshold into the TARDIS. She was startled by the interior, but at the same time, obviously relieved to be in a warm, well lit place instead of standing in a cold, dark, exposed place. “Anything that helps us to find Julia,” Chrístõ answered. He turned back to the console and programmed their quick return to his dining room. He wasn’t surprised to learn there had been absolutely no further contact from the kidnappers. He left Gertrude with the police officers to make her statement while he went back to his TARDIS. He needed to make some calls. The first was to his father. He told him what was happening. Of course his father was upset by the news. He was also practical. His father sighed and shook his head. Chrístõ hesitated. He wanted to say, yes. Yes, father, I need you. I need a shoulder to lean on in this time. I want you near. But he didn’t. How many times since he left home for the first time, could he have asked for such comfort? He left Gallifrey to be independent, to be a man, to stand on his own two feet and be responsible for himself. He had done that. He had taken responsibility not only for himself, but for Julia, too. He ended the call and sent another videophone transmission. This time it was his closest friend, Penne Dúre, king-emperor of Adano-Ambrado, who answered the call in his private chamber. He told him the news. Penne was horrified. But he, too, was immediately practical. He anticipated Chrístõ’s reason for calling. “The offer is still there, my brother,” Penne told him. And he meant it, of course. Penne would rally a battle fleet to save Julia. The thought lifted his spirits, even though he knew it would not be practical. But short of Penne’s offer nobody seemed to know what to do next. The only news the police had was that the taxi had been found abandoned by the highway. Gertrude Fanning confirmed that they had been forced to stop there and the four men had grabbed Julia and her from the car. She could give no useful description of them. They all wore balaclavas and hoods. Their accents were nothing particularly identifiable on a planet where no two people had the same accent. She could tell them nothing. “Mind reading?” The detective inspector was still taking in his officer’s description of Chrístõ’s ‘vehicle’. Now this idea that had nothing to do with usual police procedure startled him. “You….” Gertrude tried to bluff, but having her very thoughts repeated, word for word, shook her. She backed away from Chrístõ, and from the policemen, then darted for the door. Herrick blocked her. She had forgotten he was there. He pushed her back towards Chrístõ who pressed her into a chair. The police officers watched in astonishment as he put his hands around her face and concentrated. But in her mind, she had given the answer already. Chrístõ saw a cabin by the recreational lake some twenty miles north of New Canberra. It was a popular spot for water sports enthusiasts from the city. The log cabins were often booked up in the summer. But summer was over and it was a lonely enough place now. She stopped, realising that she had given herself away. She looked at Chrístõ, at Herrick, at the police officers. Then she made another run for it. This time she managed to dodge everyone and made it through the drawing room door before she began to scream in fright. This time Humphrey, hugging the shadows in the dimly lit hallway had been the one to head her off. It always puzzled Chrístõ how his friendly, wide smile could be so terrifying to wrongdoers. Perhaps they saw something different. Anyway, he called for the police officers to take Gertrude Fanning in hand. Chrístõ turned and walked away back to his TARDIS. Herrick stood and looked at the Detective Inspector. Chrístõ waited. While he did, he found a schematic of Butterfield Lake and its environs. He noted that it would be impossible for the police to mount any kind of rescue without being seen by the kidnappers. The cabins were all in open countryside and most had at least one side facing the lake itself. An air assault might just be possible if they knew which cabin it was. But Gertrude’s memory of the place was just a little too imprecise for that. Herrick joined him. Chrístõ closed the door and dematerialised the TARDIS. Herrick looked at Chrístõ. His eyes flashed with fire. He no longer looked worried. He looked determined. It was far from the first time. Though it was the first time there had been a ransom. And if Herrick knew half of it, he’d be afraid to let Julia out of his sight again. 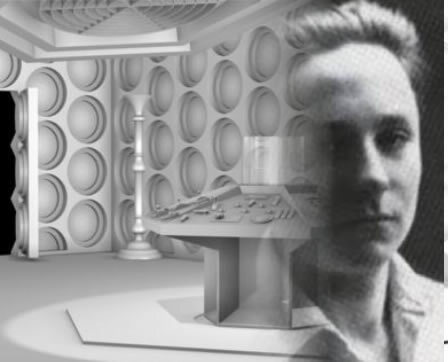 He moved around the TARDIS console and looked at the lifesigns monitor as the TARDIS approached Butterfield Lake. He scanned for occupied cabins. Only two of them were. One was registering a single life Human form that was clearly asleep in the bunk. The other showed five life signs, again all Human. But one of them had travelled in the time vortex in a TARDIS. Julia was unique among the humans of Beta Delta IV for many things, not least the fact that she had spent over a year travelling with him. Her body was infused with harmless but interesting Artron energy. And that meant that she showed up on a lifesigns monitor as a singular and easily recognisable Human. She seemed to be placed roughly in the middle of the log cabin, standing, or perhaps sitting. Two of the four other Human lifesigns were keeping watch at the windows either end. The other two were sitting between Julia and the front door of the main room. Chrístõ wasn’t planning to come in by the front door. The cabin was too small to do a wide materialisation bringing Julia and the kidnappers into the TARDIS. But he could materialise it through the wall that faced the lake, where the kidnappers weren’t expecting any rescue attempt to come from. The problem, as he had often noted, was that the TARDIS had no concept of a stealth mode. It was noisy and it displaced a lot of air as it materialised. The element of surprise was lost because the kidnappers were already surprised by its appearance, in default mode, halfway through the wall. But he did have a few seconds before they recovered from the surprise. “Julia!” Chrístõ called out as he ran from the TARDIS and saw her tied to a chair, facing towards him. He adjusted his sonic screwdriver and aimed it at the ropes binding her arms as two of the kidnappers came at him from either side. As he felled one with a Gung Fu kick and the other with the counterpunch, he saw one of the other men approach Julia with a long knife glinting in his hand. He lunged forward, tackling the man, but Julia had freed herself of the ropes and what she did next was nothing short of brilliant. She stood up and jumped onto the chair – an ordinary kitchen chair. She bounced on the points of her toes and then launched herself into the air as he had seen her do in her floor gymnastics. She pulled her legs in close to her body and tumbled twice in the air above where Chrístõ had pulled the knife wielding man to the floor. She landed neatly the other side of the two men he had already knocked unconscious and then ran into the TARDIS. Chrístõ turned his head quickly and glimpsed Herrick hugging her tight before pulling her down behind the console. But that much distraction had been dangerous. Even though these were just thugs, with no finesse or training in the art of fighting, they were heavy set men and now the fourth one attacked him as he struggled to disarm the knife wielder. He suppressed a scream as the knife sliced into his shoulder. It went deep, glancing off his clavicle, narrowly missing the Axillary artery. It hurt a lot, and almost paralysed his left arm. “Damn it,” he grunted as he punched the knife wielder in the face with his good right arm and then pulled his elbow back sharply and hit the man who was grappling with him from behind in the solar plexus. That gave him the respite to pull himself to his feet. He pulled the knife from his shoulder and examined it critically. It was a thick, serrated edged piece of steel with a tooled leather handle. The word he used in anger was one of the ugliest curses of Low Gallifreyan, usually employed only by very grim men who spent their lives in the mines of Polarfrey. It was not a word he used often. But he was hurting and angry. He looked down at the man and saw him recoil as if he expected the weapon to be turned on him. “As if.” Chrístõ held the knife in his good hand and pressed the point blade against the gunmetal grey door of his TARDIS until it snapped in two places, then he threw the leather handle away. The thug who had thought he was a hard man because he owned such a knife fainted as Chrístõ turned back and looked at him. That was good. All four of them were satisfactorily unconscious. He paused a minute or so while his shoulder began to repair itself and then picked up the ropes that Julia had been bound to the chair with. Before any of the men started to regain consciousness, they were all firmly tied to the wooden roof support of the veranda outside the cabin door. With that he turned and went back to the TARDIS. As he stepped inside, Julia left her place of safety and ran to embrace him. The rapidly drying blood on his shirt and the rip in his jacket where the knife had gone through worried her. “Sometimes I wonder if you might not, one day,” she answered before kissing him warmly. He held her close, relieved to be able to do so before Herrick reminded him that Marianna would be worried about Julia. Julia had no objection to that. But she looked around at her uncle as she wrapped her arms even more tightly around her boyfriend’s neck.